hey new clients! look before you book! due to the growing number of new clients i have acquired lately (for which i am so incredibly grateful) i am asking for a few extras before we get started. first and foremost: if you have a major change, very long hair, or a corrective color we must book a consultation separately prior to your scheduled appointment. if you’re short on time, don’t worry. :O) we can actually do a consultation via email. just send over a couple recent photos of what your hair looks like now and some possible ideas you may have in mind. third: please understand that major changes take major time. (for example going from blond to dark, dark to blond, coloring of very long or very thick hair etc…) and with that please be aware that the prices listed on my website are all starting prices. this can all vary based on length, texture and desired effect. i am incredibly honest and very realistic when is comes to what your hair is capable of doing in a single visit. a consultation is a great way for you and i to not only get a feel for one another, but we can also get a great deal of possible misconceptions aside. 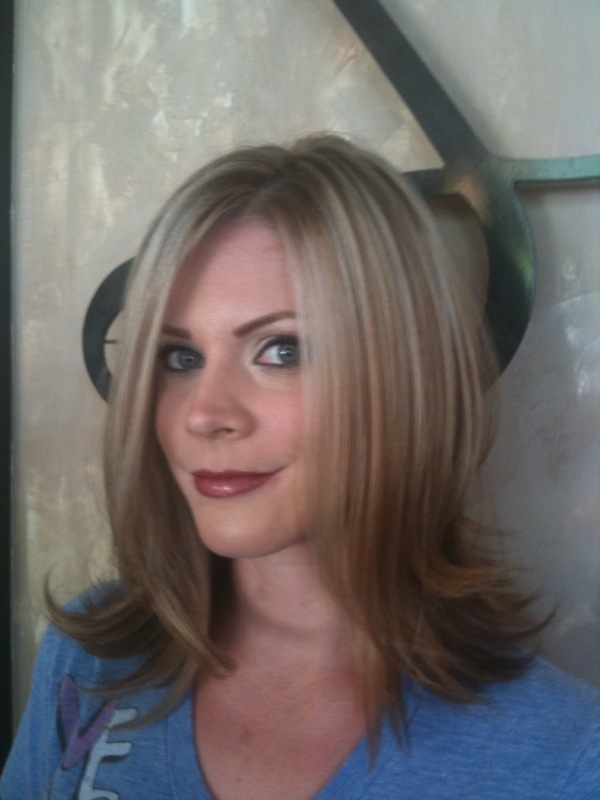 this is a photo of megan taken in february 09. when she returned to the salon in april she mentioned that she’d like to possibly grow out her hair and go much lighter. from april to august this is megan now!!!! her hair is in superior condition and the color is spectacular! this is what i’m suggesting about having realistic expectations. now let’s do some hair! !